Christian Science can be a very lonely, isolating religion, with a focus on individual study, and an individual’s understanding of Eddy’s works. If someone is struggling to demonstrate a healing, they are at fault for not “correcting” their thinking. If someone has unfortunate events befall them, again, they are seen to be somehow lacking spiritual understanding. 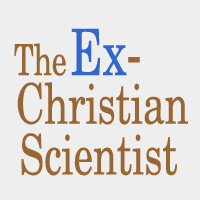 When one is struggling with these problems, they often feel as if they are the only one who is, voicing the problem only gives it power, and other Christian Scientists are demonstrating perfectly, surely they’re not having any trouble. The following stories deal with sexual assault and abuse, and discuss how these issues were “handled” through Christian Science. We have chosen to share them with the hopes of reaching those who need to hear they are not alone. There is help available and you are worth it.